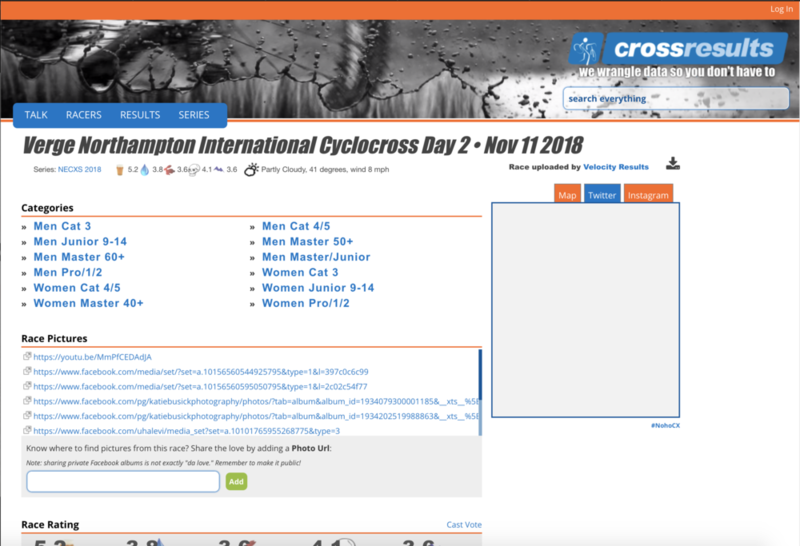 We provide full service finish-line timing and results for events and races of any size, ranging from weeknight training races to national championships and for all types of races, including road, mountain bike, cyclocross, gran fondo and gravel. Full onsite printed results are provided. We utilize custom-built scoring software to handle multiple categories simultaneously, as well as stage race scoring. We also have capacity to report lap times for cyclocross and mountain bike events. Our specialized, state-of-the-art equipment includes Finish Lynx high speeds cameras with automated timing, large display double-sided clocks and electronic lap boards, chip timing (for gran fondo events) and a laser printer for immediate, onsite results. We are fully self-supporting, arriving with a tent, table and power supply. The event promoter just provides an electronic copy of the registration data. Online results are posted throughout the event day to VelocityResults.com. 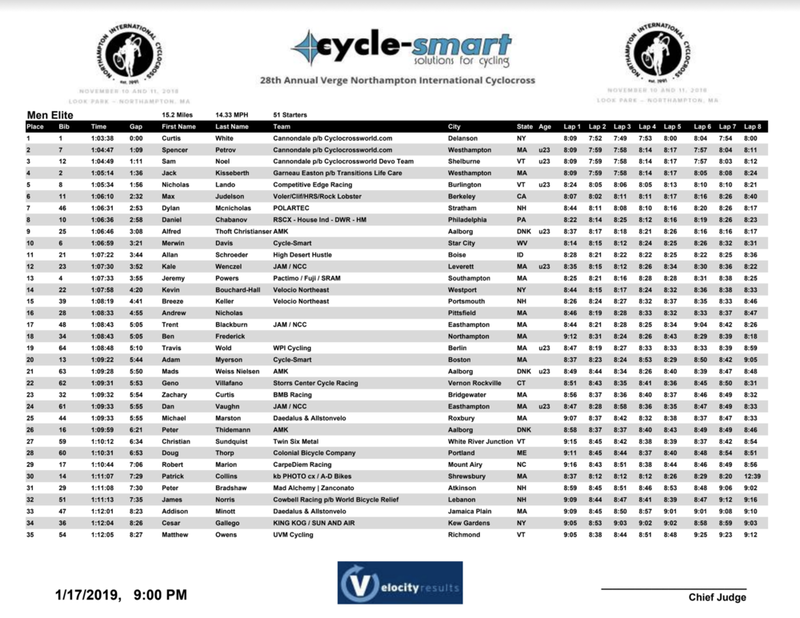 Results are also posted to road-results.com, crossresults.com, and usacycling.com. Results can be emailed to local media and other sites as needed.